Reduce transportation costs by having The Ecology School magic come to you! Meet your curriculum goals and state standards with interactive, hands-on programming and assemblies -- or utilize your schoolyard’s outdoor learning environment! The Ecology School staff are happy to come to your school or organization throughout the school year. Programs cover a range of topics in the life and earth sciences, including habitats, water science, use of scientific tools and observation skills. Please visit our Lessons Page for further description of our available Schoolyard and Classroom lessons or contact us about your learning goals. Our assembly programs are 1-hour long and cover science concepts students can understand and connect to by using student participation, zany costumes, entertaining songs and lots of laughs for everyone. Please visit our Lessons Page for further description of our available Assembly programs. Assembly programs can be conducted for individual classrooms (up to 30 students) or a larger audience. 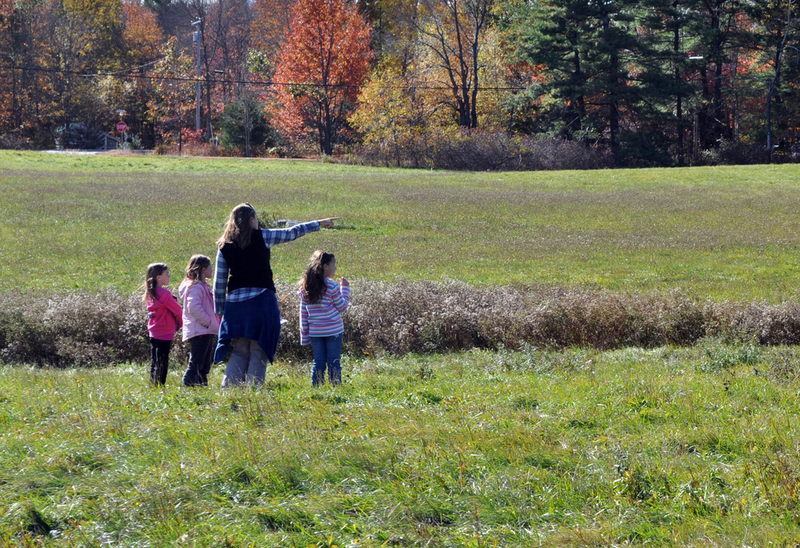 Additionally: The Ecology School staff may conduct follow-up, hands-on activities for students in the classroom or schoolyard for an additional fee. Professional development workshops for teachers may also be provided after school. Please indicate your interest! For more information, or to schedule an Outreach program, please contact Meg Edstrom Jones, Education Director.